What is the best program for your goals? If you want to lose fat, or build endurance, or get stronger, what should you do differently to maximise that particular result? This is a question I get a lot, and I thought I'd take a stab at answering by looking at the best and worst ways to achieve the 10 most common fitness goals. Before I break it down, let me say this: the best program is the one that you’ll do. Ideally, find something that you enjoy. Consistency is a prerequisite for success so there's no point starting something you know you'll quit! I made the chart below to simplify the basics. We can quibble over some of the details, but overall this is a fair depiction of which ingredients are most important to each goal. Nutrition is #1. You can't outrun your fork. Start there. Strength training has been shown to be very effective. It helps you build muscle over time and therefore increases your resting metabolic rate. Just don't expect it to happen over night. Muscle takes time to grow. Interval training is probably the return on your time investment to rev up your metabolism in the short term. Strength training is most important. You need to work your muscles to stimulate them to grow. There are different techniques for doing this, but the research shows that high training volume helps (i.e perform lots of reps during your workout). A mix of compound movements (like squats, bench press, etc.) and some isolation work to target specific muscles (biceps curls, flys, hamstring curls, etc.) works great. From there, make sure you're eating enough. You need to be taking in more cals that your body expends. But don't eat too much, otherwise you'll gain excess fat during the process. Once you get to a more intermediate or advanced stage, it's good to cycle between periods when you're training to gain vs. periods when you're trying to maintain and allow your body to settle. vs. periods where you may try to lose any extra fat you accumulated. You need to strength train. The easiest way is to lift weights, but you can also do certain gymnastics/body-weight movements to build strength too. Many people can get stronger even if they eat like garbage and don't have very good lifestyle habits - i.e. they don't get much sleep - but both of these will hurt your long-term potential. Recovery from training is key to progressing, so taking care to eat enough, to eat good quality foods, and to get enough rest becomes increasingly important as you become more advanced. A combination of slower steady state training and some higher tempo interval work is probably the best combination for most people. The slower training helps build a good aerobic base, and the higher intensity training develops your ability to put out more sustained power. Strength training can be important for two reasons. First, to keep the body balanced/avoid common injuries. Second, strength is the foundation for speed. If you want to get faster at long distances, you need a certain amount of speed. No matter how good your stamina is, you're not going to be able to run an 15min 5K without having some jets. As with all training programs, you need to have some recovery in place, which is where the mobility, nutrition and sleep comes in. As with most programs, the more advanced you become, the more important recovery is. To be fast, you need strength. If you can't squat 50lbs slowly, how do you expect to accelerate your body very high in a vertical jump? Or during the first few steps in a race? You also need to work on some intervals - specifically short distances at max or near max speed. To be fast and explosive, you need to practice that trait. Here are a few tips on how to do it from a previous post. Mobility is important with speed because explosive movements place such a high demand on the body. Having a little extra range of motion in your joints gives you a buffer that can help prevent muscle strains when you push your joints and muscles to the limit. No surprise here. You need a bit of everything. Prioritise the things that you're weakest at and the areas with the lowest hanging fruit. For example, if you're coming in with a good base of strength but terrible endurance, then prioritise that with some simple progressions. Spend more of your training time on endurance than strength until it balances out. Lifestyle is the biggest factor here. Do you get enough sleep? If you feel tired and lethargic, start there. Next, do you eat well? If you're eating low quality processed foods, that's a problem. Eat higher quality food and find what works for you (diet is very individual). And finally, move and get outside. You could do nearly any type of physical training and feel energized from it. There are a few nuances, but my general advice would be to pick something you enjoy. 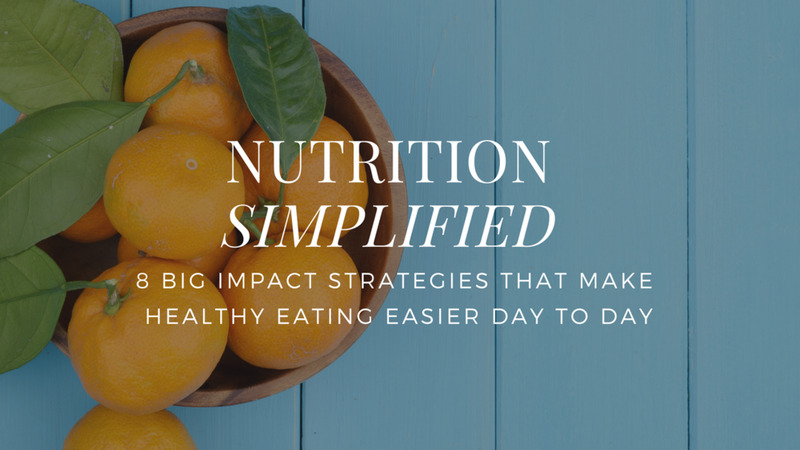 Grab PRC's FREE template - it makes healthier changes easier to stick to day-by-day! I'm sure you're not surprised that an effective mobility program is at the top of the list! There are many systems to improve flexibility, but the most important aspect is consistency. Practice often. And expect 8-12 weeks for the changes to start to become more permanent. You can stretch for a few minutes right now and you'll loosen up a little, but after a short period of time the improvement will vanish. It takes ongoing and consistent work to make changes in your flexibility last. Your best bet is a targeted plan that focuses just on the areas you need. Alternatively you could try something like Yoga. Yoga has lots of benefits, but if your only goal is to improve flexibility, you might not get the best return on your time and effort since only some of the postures will be targeting the things that need your attention. The other postures might actually be stretching things that don't need to be stretched. And limit the day-to-day habits and postures that make you stiff. Improving mobility is a combination of reducing negative input on your body (stuff that makes you tight), and increasing positive input (the stuff that loosens you up). One last thing about flexibility: you can be too flexible. In fact, this might be worse than being too stiff. The people out there who have lax joints tend to have major stability problems that lead to pain and lowered performance. You want to tune your mobility to your task and get just the right amount. Not too much. Not too little. This is very similar to building muscle and losing fat. When most people say "I want to tone up", they mean they want to lose fat and have some more muscle definition. The same things apply. Clearly this is very specific to the individual, but as a starting point we want to make sure they can move well (i.e. no major compensation patterns), have sufficient strength and enough flexibility to get into safe, pain free positions. Strength training teaches us how to move safely and effectively under ever greater sets of challenges - i.e. under more weight, or with more range of motion, or with increasing degrees of difficulty. The more capacity we can build there, the better chance you'll be able to carry your groceries, run for a bus or get out of bed in the morning without pain. You also need to have enough flexibility to give yourself more options for movement. If you're very tight and stiff, your body has fewer options and probably has a higher chance to be pulled out of alignment. If you have better mobility, you have more options. This is just a starting point and is aimed mainly at beginners, but I hope it gave you some context about where to focus your energy. Obviously the table at the top of the post doesn't touch on how to put together the details of your program. If you wand more advice on which exercises to choose, schemes for sets and reps, how many days of training you do per week, when to adjust your program, etc, feel free to get in touch. Is Injury A Normal Part Of Training? VIDEO: Is All Or Nothing Thinking Derailing Your Fitness & Body Shape Goals? Do This After Your Training To Keep Your Back Feeling Great!